Thinking of a Post New Year Diet ?? 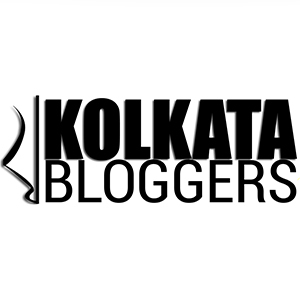 ?Think again .. MAMAGOTO the ‘Big Boss’ of Asian Cuisine is finally in Kolkata. 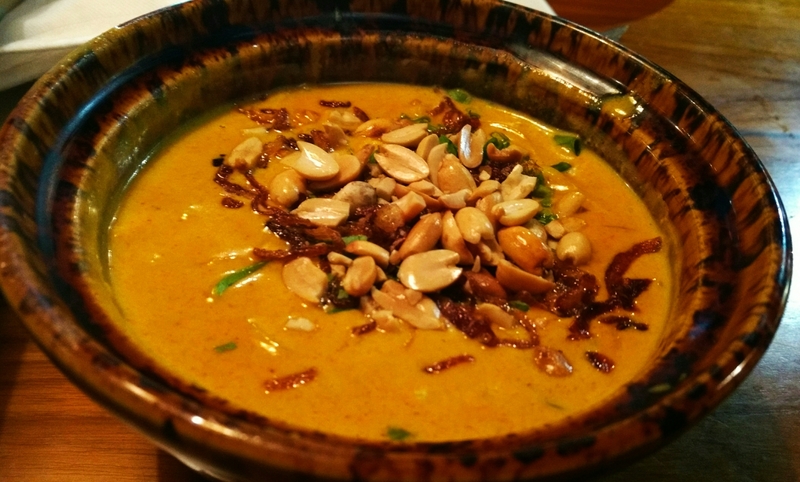 Mamagoto, that in Japanese means ‘to play with food’ is a cheerful restaurant serving authentic and innovative Japanese, Thai and Chinese cuisines in the heart of Park Street. Communication 2.0 organized a Bloggers Meet which allowed me to engulf myself in an afternoon of one the best Asian Food the city has to offer. 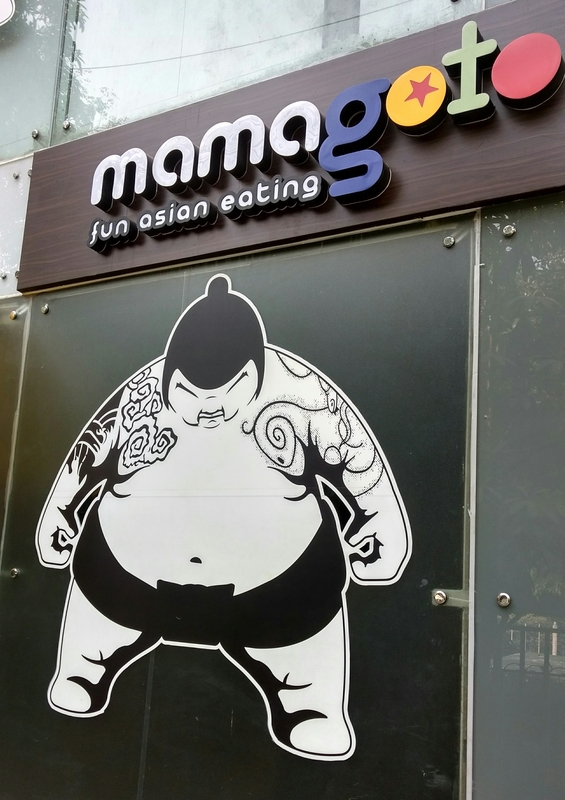 Spread across two levels, Mamagoto is all about vibrant interiors, cheerful ambience and sumo wrestlers.I believe the picture(s) of Sumo Wrestlers all across the arena are just to challenge your appetite(kidding of course). The interiors are a beautiful blend of class and quirk. The open kitchen is definitely alluring, especially for a first timer like me. The signature quirky wall art, the bold geometric patterns on the wall and the floor, the glass wall overlooking the busy streets of Park Street and the funky bar all adds to the OOMPH factor of MAMAGOTO!! The staff are friendly, and the chef is open to requests/advices. Here are a glimpse of a few of my favourites from that afternoon. Hot basil chicken cups: Chicken keema, on basil leaves seved with a spicy dip. It’s a delightful, healthy starter option. Rock shrimp tempura: Shrimp fried in tempura batter. A perfect munchie. Definitely a conventional choice but a delicious one !! 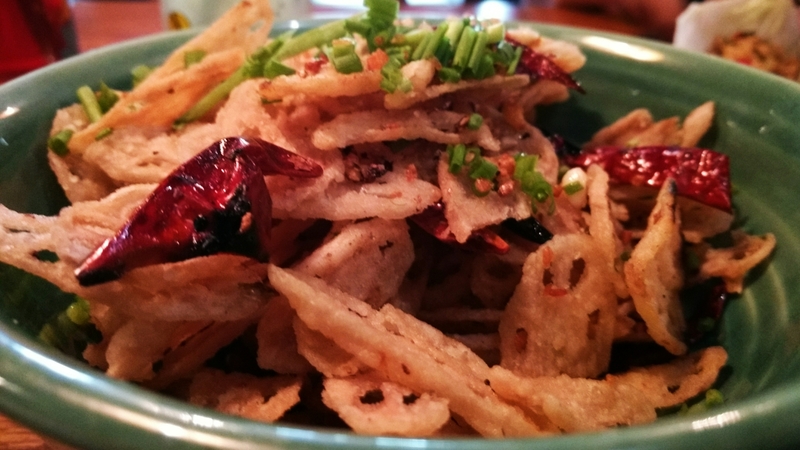 Crispy lotus stem: The lotus stem fries looked alluring and tasted delicious. 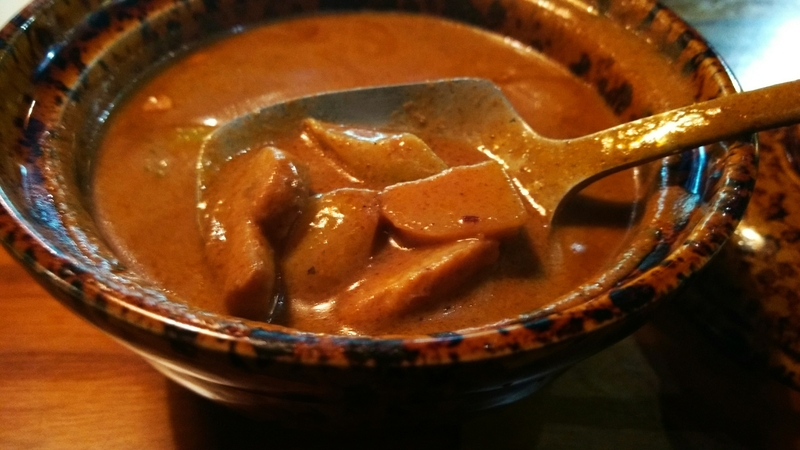 Wether you are vegetarian or a non-vegetarian, it’s a must try. 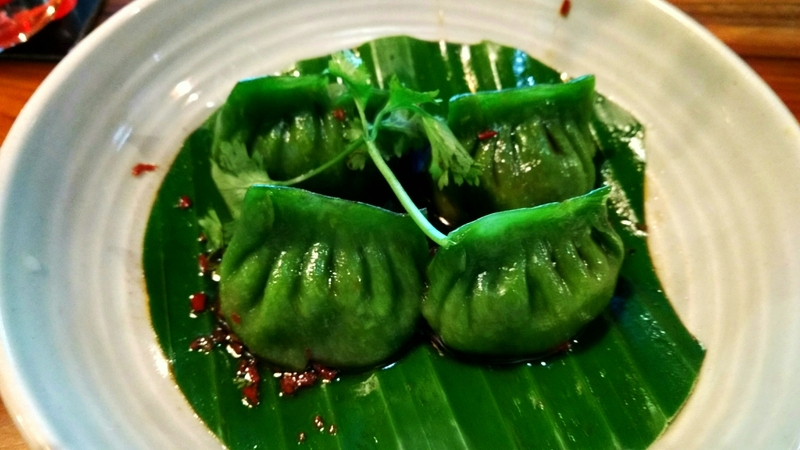 Cheese and Truffle Oil Dumplings : The translucent coating, the delicious blend of cheese with truffle oil. It was an exotic experience. Java grilled tofu/fish : Indonesian Sambhal fish wrapped in banana leaf and sticky rice. Both the tofu and the fish version of this dish deserves accolades for the ravishing tastes in the ever so subtle way. 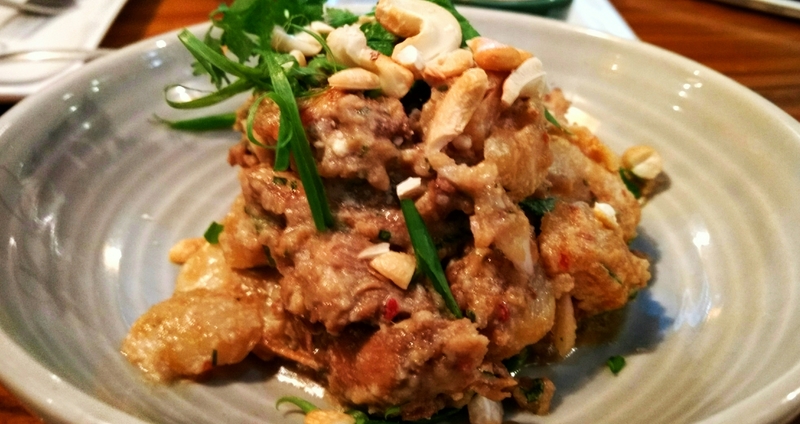 Thai chicken water chestnut salad : I love Thai flavours and this dish was a brilliantly made salad. It was slightly sweetish is taste. The water chestnut and chicken blended well with the dressing and created a subtle taste that I can only describe as HEAVENLY !! Kiwi mint cooler, Passion fruit cooler were great thirst quenchers. Chiang mai train station noodles chicken: This is our very own Khaw Suey with a tricky name, and the highlight of my afternoon. The rich , slightly creamy texture, the beautifully blended chicken and exotic veggies and the wondrous flavours won my heart. I’m in love with this dish and a must have for all my visits that followed. Steamed fish in green chilly sauce and Massaman curry (Veg/Chicken) : These were the two sides that we tried with steamed rice and both were plain exquisite. Another must try. 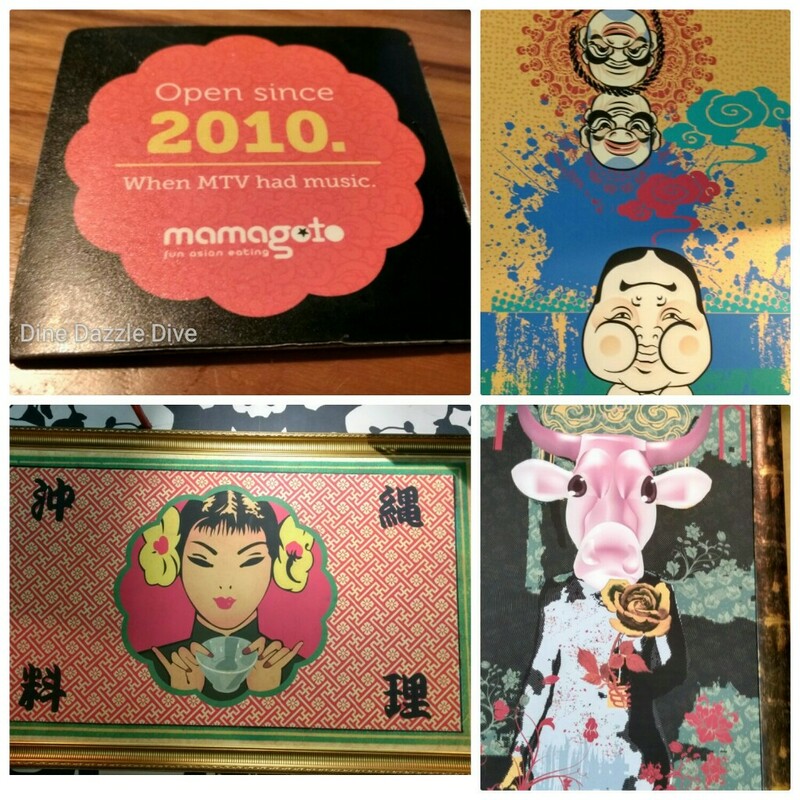 I loved the fact that Mamagoto was able to emulate the true Asia flavours, since it’s a rarity on the city. Stir fried bok choy with water chestnut : I personally love water chestnut and bok choy. It was a delicious concoction. I must try for vegetarians. Prawn three pepper bomb is also worthy of mention. 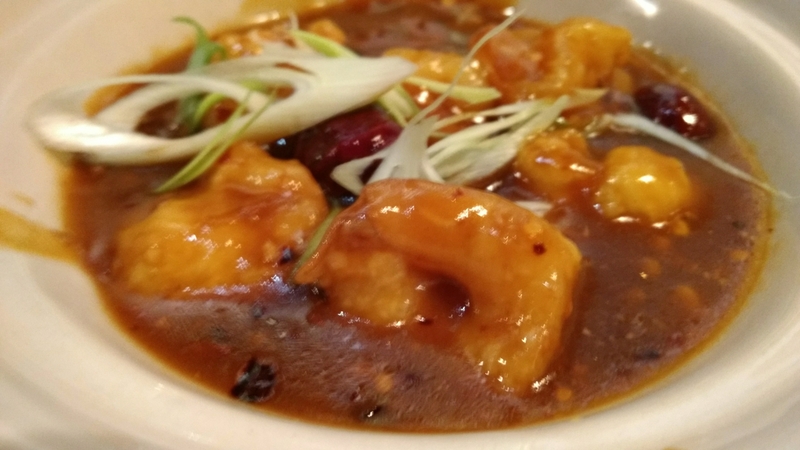 It’s a chef special and a shout out to all prawn lovers – This is a must try. Caramel sponge cake with toffee sauce: Ohhhh!! This was a true pleasure. My heart felt with warmth and joy with the first bite. 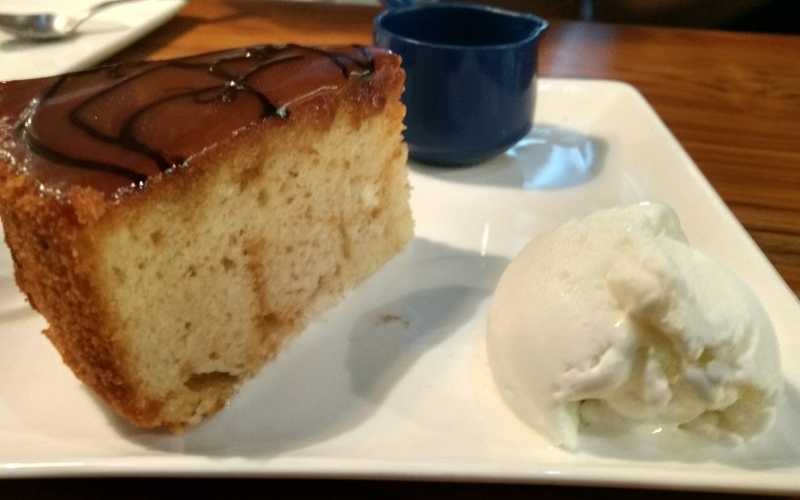 The slightly salty and yet so sweet toffee sauce broke the conventional concept of ‘too sweet’ desserts and was a delightful surprise. Mishti Doi Cheesecake : I’m a misti Doi Kinda Bengali and a Cheesecake kinda Bengali but never knew this that day that I’m a total Misti Doi Cheesecake kinda Bengali!! It’s yummilicious, it’s unconventional and it’s a dessert. Somethings can never go wrong!! I had a lovely experience and thank the entire team of Communication 2.0 for inviting. Wish the team if Mamagoto all the very best for their future endeavours!! P.S: Don’t miss the Khaw Suey!! Previous The Fans Club : The journey of a skeptic to a fan! !